She has broad research interests in subterranean biology, especially biodiversity, biogeography, and ecosystem function. She has active research projects on subterranean biodiversity, diversity and biogeography of epikarst invertebrates, ecology of shallow subterranean habitats, their fauna and evolutionary importance, and organic carbon flux in karst. Novak, T., Csuzdi, C., Janžekovič, F., Pipan, T., Devetak, D., Lipovšek, S. 2014. Survival of the epigean Dendrodrilus rubidus tenuis (Oligochaeta: Lumbricidae) in a subterranean environment. Acta carsologica, 43, 2/3, 331-338. Fišer, C., Pipan, T., Culver, D. C. 2014. The vertical extent of groundwater metazoans : an ecological and evolutionary perspective. Bioscience, 64, 11, 971-979. Pipan, T., Culver, D. C. 2013. Forty years of epikarst : what biology have we learned?. International journal of speleology, 42, 3, 215-223. Culver, D. C., Trontelj, P., Zagmajster, M., Pipan, T. 2013. Paving the way for standardized and comparable subterranean biodiversity studies. Subterranean biology, 10, 43-50. Pipan, T., Culver, D. C. 2012. Convergence and divergence in the subterranean realm : a reassessment. Biological journal of the Linnean Society, 107, 1, 1-14. Pipan, T., Fišer, C., Novak, T., Culver D. C. 2012. Fifty years of the hypotelminorheic: what have we learned? Acta carsologica, 41, 2/3, 275-285. Culver, D. C., Pipan, T. 2011. Redefining the extent of the aquatic subterranean biotope-shallow subterranean habitats. Ecohydrology, 4, 5, 721-730. Pipan, T., López, H., Oromí, P., Polak, S., Culver, D. C. 2011. Temperature variation and the presence of troglobionts in terrestrial shallow subterranean habitats. Journal of natural history, 45, 253-273. Pipan, T., Holt, N., Culver, D. C. 2010. How to protect a diverse, poorly known, inaccessible fauna : identification and protection of source and sink habitats in the epikarst. Aquatic conservation, 20, 748-755. Simon, K. S., Pipan, T., Ohno, T., Culver, D. C. 2010. Spatial and temporal patterns in abundance and character of dissolved organic matter in two karst aquifers. Fundamental and applied limnology, 177, 2, 81-92. Culver, D. C., Holsinger, J. R., Christman, M., Pipan, T. 2010. Morphological differences among eyeless amphipods in the genus Stygobromus dwelling in different subterranean habitats. Journal of crustacean biology, 30, 1, 68-74. Bonacci, O. Pipan, T., Culver, D. C. 2009. A framework for karst ecohydrology. Environmental geology, 56, 5, 891-900. Culver, D. C., Pipan, T., Schneider K. 2009. Vicariance, dispersal and scale in the aquatic subterranean fauna of karst regions. Freshwater Biology, 4, 54, 918-929. Pipan, T., Culver, D. C. 2007. Regional species richness in an obligate subterranean dwelling fauna - epikarst copepods. Journal of biogeography, 34, 854-861. Pipan, T., Culver, D. C. 2007. Copepod distribution as an indicator of epikarst system connectivity. Hydrogeology journal, 15, 4, 817-822. Pipan, T., Culver, D. C. 2007. Epikarst communities: biodiversity hotspots and potential water tracers. Environmental geology, 53, 2, 265-269. Pipan, T., Christman, M., Culver, D. C. 2006. Dynamics of epikarst communities : microgeographic pattern and environmental determinants of epikarst copepods in Organ Cave, West Virginia. The American midland naturalist, 156, 1, 75-87. Culver, D. C., Pipan, T., Gottstein Matočec, S. 2006. Hypotelminorheic - a unique freshwater habitat. Subterranean biology, 4, 1-7. Pipan, T. 2015. The role of epikarst fauna as indicators of subterranean aquatic ecosystem health. In: Zupan Hajna, N., et al. (eds.). Life and water on Karst : monitoring of transboundary water resources of Northern Istria. Ljubljana: Založba ZRC,. 75-81. Gabrovšek, F., Knez, M., Kogovšek, J., Mihevc, A., Mulec, J., Otoničar, B., Perne, M., Petrič, M., Pipan, T., Prelovšek, M., Slabe, T., Šebela, S., Turk, J., Zupan Hajna, N. 2015. The Beka-Ocizla cave system : karstological railway planning in Slovenia, (Cave and karst systems of the world). Cham: Springer, 102 pp. Pipan, T. 2014. Podzemno živalstvo krasa. In: Fakin Bajec, J., et al. (eds.). Kras in Brkini za radovedneže in ljubitelje. Ljubljana; Nova Gorica: Založba ZRC, ZRC SAZU, 71-73. Culver, D. C., Pipan, T. 2013. Subterranean ecosystems. In: Levin, S. A. (ed.). Encyclopedia of biodiversity. 2nd ed. San Diego [etc. ]: Academic Press, 7, 49-62. Simon, K. S., Pipan, T., Culver, D. C. 2013. Spatial and temporal heterogeneity in the flux of organic carbon in caves. In: Ribero, L. (ed.). Groundwater and ecosystems, (Selected papers on hydrogeology, 18). Boca Raton etc. : CRC Press, Balkema, 47-56. Culver, D. C., Brancelj, A., Pipan, T. 2012. Epikarst communities. In: White, W. B., Culver, D. C. (eds.). Encyclopedia of caves. 2nd ed. Amsterdam [etc. ]: Academic Press, 288-295. Pipan, T., Culver, D. C. 2012. Shallow subterranean habitats. In: White, W. B., Culver, D. C. (eds.). Encyclopedia of caves. 2nd ed. Amsterdam [etc. ]: Academic Press, 683-690. Pipan, T., Culver, D. C. 2012. Wetlands in cave and karst regions. In: White, W. B., Culver, D. C. (eds.). Encyclopedia of caves. 2nd ed. Amsterdam [etc. ]: Academic Press, 897-904. Polak, S., Pipan, T. 2011. Subterranean habitats and fauna, their threats and conservation. In: Prelovšek, M., Zupan Hajna, N. (eds.). Pressures and protection of the underground karst : cases from Slovenia and Croatia. Inštitut za raziskovanje krasa ZRC SAZU, 23-32. Pipan, T., Mulec, J., Oarga-Mulec, A. 2011. Epikarst fauna of selected caves in Yunnan Province. In: Knez. M., Liu, H., Slabe, T. (eds.). South China karst II, (Carsologica, 12). 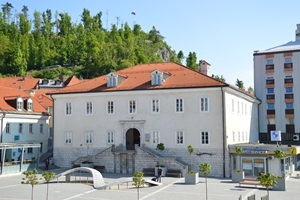 Ljubljana: Založba ZRC, 173-181. Pipan, T., Culver, D. C. 2009. Subterranean aquatic ecosystems - groundwater ecology. In: Likens, G. E. (ed.). Encyclopedia of inland waters. Elsevier, 433-442. Culver, D. C., Pipan, T. 2009. Caves, as islands. In: Gillespie, R. G. (ed.). Encyclopedia of islands. Berkeley; Los Angeles; London: University of California Press, 150-153. Culver, D. C., Pipan, T. 2014. Shallow subterranean habitats : ecology, evolution, and conservation. 1st ed. Oxford: Oxford University Press, 258 pp. Culver, D. C., Pipan, T. 2009. The biology of caves and other subterranean habitats. 1st ed. Oxford: Oxford University Press, 254 pp. Fong, D. W., Culver, D. C., Hobbs, H. H., Pipan, T. 2007. The invertebrate cave fauna of West Virginia, (bulletin, 16). 2nd ed. Barrackville: West Virginia speleological survey, 163 pp. Pipan, T. 2005. Epikarst - a promising habitat : copepod fauna, its diversity and ecology : a case study from slovenia (europe), (carsologica, 5). Postojna: Inštitut za raziskovanje krasa ZRC SAZU, 101 pp.